HomeCareCan a Dog Have Down Syndrome? In this article, we will consider: can a dog have down syndrome, symptoms of down syndrome in a dog and is down syndrome similar in dogs and humans? We often notice behaviors in our dogs which mimic those of humans. We wonder if dogs can be depressed or obsessive. We notice similarities in health conditions, generally we have a pretty good understanding of what it means if our dog is diagnosed with a problem in their heart, liver or lungs. It’s a working body, of course there are going to be similarities. But how far do these similarities go? In short, the jury is still out. Some argue that if a dog appears with symptoms of down syndrome, then this must mean the dog has down syndrome. However, others argue that, whilst similar in appearance, these symptoms are actually just symptomatic of other health issues; which haven’t yet been diagnosed. Let’s see if we can get our heads around this controversial topic. To first understand Down Syndrome in Dogs, we will look at the human condition. According to the National Down Syndrome Society approximately 1 in 700 babies are born with Down Syndrome in the US. It is also common to notice social and emotional issues in humans with Down Syndrome. They will often suffer with anxiety, depression, psychosis and aggression. Autism is often diagnosed alongside Down Syndrome. As a human, we are made up of trillions of cells. Throwback to Biology 101 to try and remember the structure of a cell! In each cell, there is a nucleus; this contains the cells genes and therefore its ability to grow and reproduce. Typically, in a human, the nucleus of each cell contains 23 pairs of chromosomes (a thread like structure which carries genetic information). When you are born, you will usually have two copies of each chromosome – one from your mother and one from your father. However, during fertilization, things can go wrong and further copies of chromosomes can appear. Down Syndrome occurs when a human has an extra copy of chromosome 21. This extra copy impacts the development of the fetus which causes the previously mentioned signs and symptoms. Is Down Syndrome Similar in Dogs and Humans? Down Syndrome was noticed originally by Dr. John Langdon Down in 1866; but he termed it mongolism. In 1959 Professor Jerome Lejeune established that the signs and symptoms of this condition were caused by an extra chromosome. It wasn’t until the 1970’s that it was officially named after it’s original founder. Humans have 46 chromosomes – 23 pairs and Dogs have 78 chromosomes – 39 pairs. The closest we have become to mirroring Down Syndrome in animals is with mice; not dogs. In a study of Down Syndrome symptoms it was noticed when there was an additional chromosome 16 in mice. Mice have 40 chromosomes – 20 pairs. Whilst genetic research into our canine friends is sparse, it is impossible to say for certain whether in fact dogs can have Down Syndrome, or we are just confusing the signs and symptoms with other health issues? It is clear that many health conditions in dogs mimic the characteristics of Down Syndrome a good example of which is Congenital Hydrocephalus. Congenital Hydrocephalus (i.e. water on the brain) can be congenital or acquired; caused by tumors, hemorrhage or inflammation. It results in reduced flow of cerebrospinal fluid which present themselves with signs and symptoms as: delayed learning, visual deficits and seizures and physical characteristics such as an enlarged or dome shaped skull. So it may appear to be Down Syndrome in dogs, however, it’s actually another health condition. Pituitary dwarfism, this is when the dog’s pituitary gland fails to produce enough growth hormone. 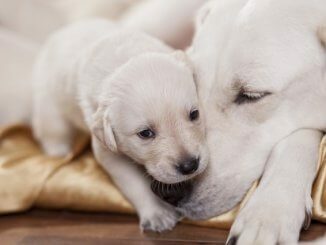 Puppies will appear normal at birth but will fail to grow at the same rate as their litter mates. They may also suffer with hyperpigmentation and alopecia. Pituitary dwarfism is inherited and has been linked to a specific gene. Congenital Hypothyroidism, this is when the thyroid isn’t producing the hormones it should. In Hypothyroidism there is a deficiency of or unresponsiveness to thyrotropin-releasing hormone, thyroid-stimulating hormone and/or iodine. This results in mental impairment, abnormal skeletal development and dwarfism. 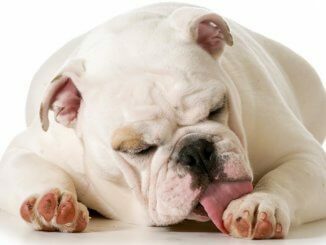 In cases of congenital hypothyroidism, dogs have been noted to have short limbs and spines and broad, short skills. As you can see, there are a number of health issues in dogs which can present with very similar signs and symptoms of dog Down Syndrome. However, as genetic research into our canine friends’ chromosomes isn’t as comprehensive as humans; we don’t know. As we have mentioned, there are a number of health conditions known in dogs which mimic these symptoms. We also have to consider that by definition, down sndrome in humans is as a result of an extra full or partial copy of Chromosome 21. As we have shown, dogs have many more chromosomes than humans and we still need to make great progress in gene research in our four-legged friends. This isn’t to say that genetic abnormalities do not occur in dogs and in fact abnormalities in Chromosome 21 or any other chromosome may present as symptomatic of Down Syndrome. But the reality is, we just don’t carry out the genetic testing we do in humans. We do not know if puppies in the womb are carrying a mutation. We do not know if this stops their development and causes early death. Finally, we do not know that actually if the syndrome is present, associated health issues act as a smokescreen. In short, we couldn’t find any evidence that dog Down Syndrome can be diagnosed. But dogs can absolutely have their own plethora of genetic abnormalities and mutations. Whilst we have suggested that Down Syndrome in dogs is technically incorrect by definition there are a range of other genetic abnormalities, mutations and health issues which can present with the same signs and symptoms. What is key, is getting the right diagnosis from your veterinarian. 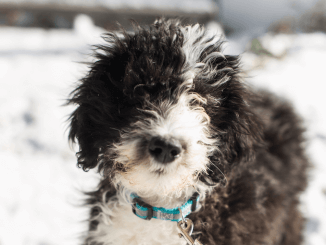 If you are concerned about the cognitive development of your dog, getting in touch with a force-free, positive based behaviorist will be incredibly helpful in understanding how your dog learns. Patience is key! You may find that he struggles to learn new commands. If so, focus on just a few key commands. Set him up to succeed, keep training sessions short. Stay calm, if he’s not getting it today, tomorrow is another day. If he has a poor attention span, you’re probably best sticking to on leash walks – he will always find something more interesting than you! Ensure no family members hassle him! So whilst the jury is still out on whether dogs can have Down Syndrome, they can certainly suffer a range of other developmental abnormalities and health issues which may present with similar signs and symptoms. The closest we have gotten to mimicking Down Syndrome in animals in with mice and their faulty chromosome was number 16 as opposed to 21. We know that dogs have 78 chromosomes whereas humans have 46, we still have a way to go to figure out what all those chromosomes are responsible for. What is clear is the need for further research into our four-legged friend’s genes. As always, if you have any concerns over the health of your dog, seek veterinarian advice. Have you had a dog who displays similar symptoms as Down Syndrome? Feel free to share your comment below.